Research shows that the interactions between pesticides, tillage and fertilisation are complex with respect to effects on the myriad of life forms in the soil. Such interactions should be considered in risk assessment of pesticides. Humans and earthworms have a common interest: the soil. To earthworms and multiple other organisms the soil is home and a food source. For humans, too, the soil is a source of food, through production of edible crops or crops for livestock feeding. Soil cultivation includes tillage, addition of nutrients via mineral fertilisers or manure, and (on conventionally managed farms) pesticide use. How are earthworms and other organisms in the soil affected by pesticides? Are these effects simple, or are they modified by other management factors? With support from the pesticide research program of the Danish Environmental Protection Agency (EPA), researchers from Aarhus University have studied this in the setting of a long-term tillage experiment. Micro-arthropods and microbial indicators were monitored during two cropping seasons of winter wheat populations of earthworms. Other aspects, including leaching potential, soil structure and decomposition of crop residues, were examined under laboratory conditions. 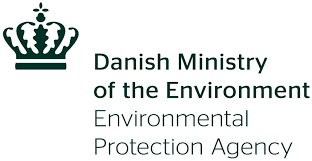 The results have been published in a report from the Danish EPA and confirm that the effects of pesticides are significantly affected by management practices. Efficient processing of crop residues and fertiliser input are important for the crop production in agriculture. Soil-dwelling organisms play a key role for these processes which maintain soil fertility, as well as physical and chemical properties of soils. Pesticide use may influence the soil negatively if key functions are disturbed. Risk assessment of pesticides is therefore necessary, but should take into account the specific application. Management practices other than pesticide application also influence soil organisms and their activity. Interactions between management practices should be taken into account when evaluating pesticide effects, the report concludes. The authors recommend evaluation of pesticides in test systems that also consider factors other than the direct exposure to a pesticide in connection with risk assessment. In the study, the choice of tillage method and nitrogen source exhibited many significant interactions with pesticide effects on the number and activity of soil organisms. A considerable seasonal and annual variation was also observed. – The study shows that simple test systems with exposure of single organisms convey an incomplete picture of pesticide effects. Knowledge about interactions between pesticide application and other management practices may help improve our understanding of the fate and effects of pesticides in natural environment, according to the report. The researchers used a long-term tillage experiment at AU Foulum, the research centre of Aarhus University in Tjele, for the study. The researchers studied pesticide effects in both moldboard ploughed soil and directly seeded (no-till) soil. Either mineral fertiliser or cattle slurry was applied to the soil and either a fungicide or an insecticide, or both. All combinations of these treatments were included in the study which had in total 20 different treatments, all in four replicates. Following the spring application of pesticides, and again after the winter wheat harvest in September, the researchers quantified populations of earthworms, springtails, mites, and microbial populations in the soil. They also examined nitrification potential, leaching risk, and several other aspects. – The study confirmed that that there are significant interactions between management factors, including pesticide application, with respect to effects on soil organisms. There are many sources of variation, and the disturbance of tillage alone may be greater than the effects of pesticides, says senior researcher Søren O. Petersen from the Department of Agroecology. He states that the results have no direct implications for the current use of pesticides, but show that the authorities should be critical about the documentation offered on pesticide effects.